Retouch. Resexify. Right Away. VITRESS! Hey Coffeeholics! Just colored my hair last weekend! Watcha think? It became lighter than what I'm used to but it has grown on me and I like it. :) BUT hair color plus frizzy hair with all the weather changes lately? Oh noooo.. not good! Plus with work (and school for you guys!) - who has the time to really pamper your hair to get that shiny healthy hair look? So over some time (months na.. huhu sorry hair!) my hair became dry and frizzy and lost its shine. huhuhu. I'm so glad that VITRESS has come up with these as a solution to make you hair shiny! I have used Vitress like years ago but I haven't been regular. If I had only been a consistent Vitress user, maybe my hair would be more awesome as it is. I've tried all their hair cuticle coats. Ever since they started this product I got curious and tried it out. 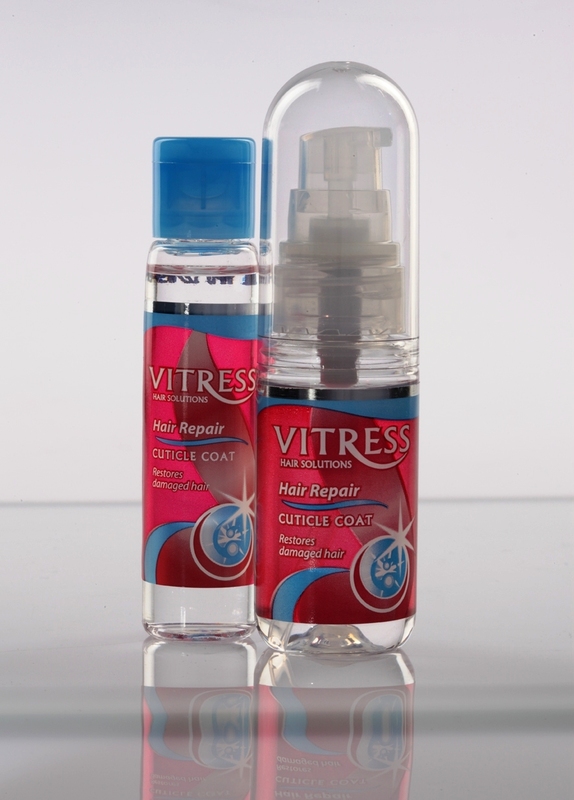 The Vitress Hair Cuticle Coat wraps and seals each strand to protect it from damage and break. Also, it gives hair instant and intense shine, softness, smoothness, protection, and manageability. 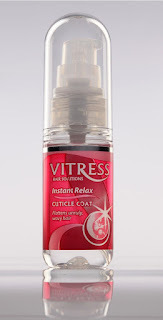 I first fell in love with Vitress Instant Relax Cuticle Coat. I've always wanted super straight hair (my hair is straight but I wanted that "relaxed" look.. hehe) so I used this. If you have unruly and wavy hair that you want to "flatten", this product is for you! I love experimenting with my hair! Though having it super straight is an easy way to wear your hair, sometimes I dress it up by curling my hair using a flat iron. Constant curling of hair or straightening of hair can cause great damage to your hair cuticle. 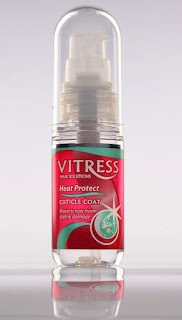 Ever since my sister Laura discovered Vitress Heat Protect Cuticle Coat, she would always use it before curling her hair. 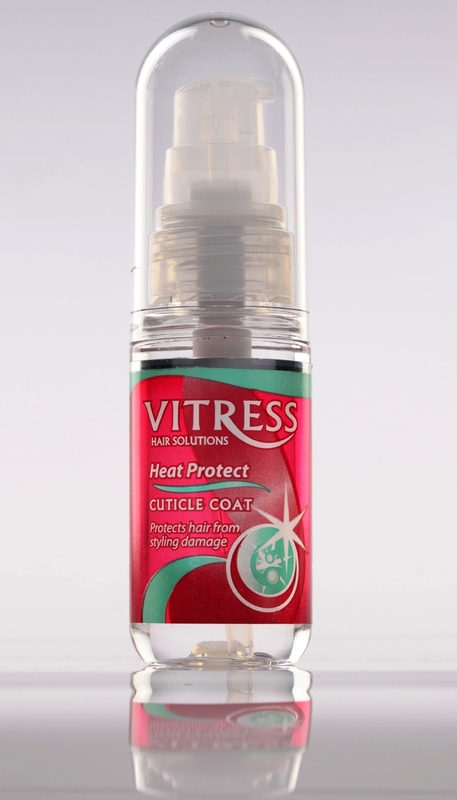 Thanks to thermo-shield complex, Vitress Heat Protect Cuticle Coat protects hair from the harmful effects of frequent curling, ironing, or blow-drying! Just place a few drops of the product to your hand, rub and finger comb your hair with the product BEFORE using your curling iron, hair iron, or hair blower. I strongly suggest you use this if you curl or straighten your hair frequently. 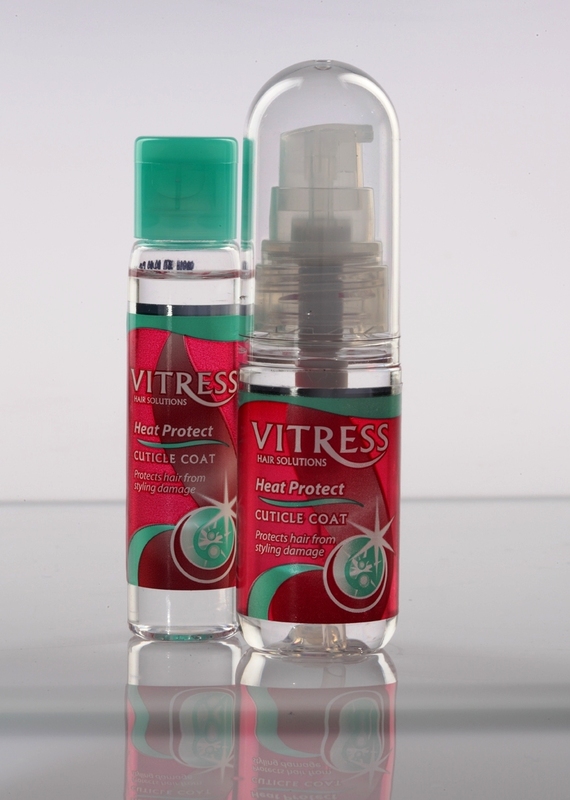 So you just found out about the Vitress Heat Protect Cuticle Coat. Now what about damaged hair already? Yeah this was my dilemma as well. I color my hair a lot now and before I always had relaxed hair treatments twice a year. These caused my hair to have the tendency to be brittle, break easily, and have split ends. 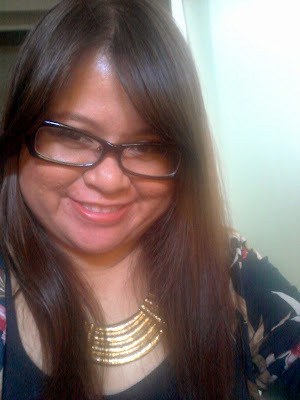 It came to the point that the split ends were not on the ends -- split mids na! I had hair breakage in the upper part of my hair which horrified me and resulted in me having a short hair cut which I hope will never ever happen again. 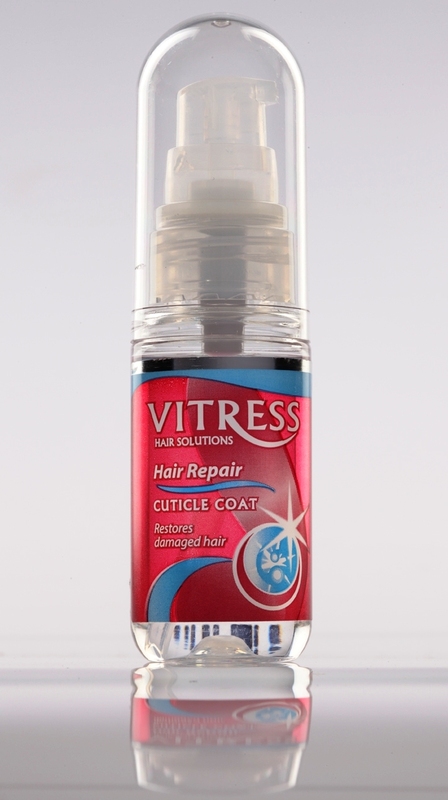 Now with Vitress Hair Repair Cuticle Coat, the tendency of that happening can be reduced. Vitress Hair Repair Cuticle Coat has a hydro-restore system that helps resist the ill effects of chemicals used in perming, dyeing, and other hair treatments. This is the product to use if you want to restore healthy, satin-smooth hair! 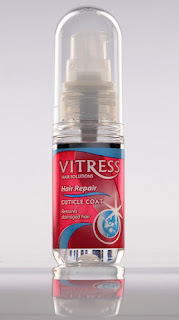 I remember Vitress and its old Hair Polish products (packaging) and I couldn't quite understand its use what with the Hair Cuticle Coat already there. But when I tried Vitress Hair Polish and then fully understood its use, I'm now addicted to it!!! 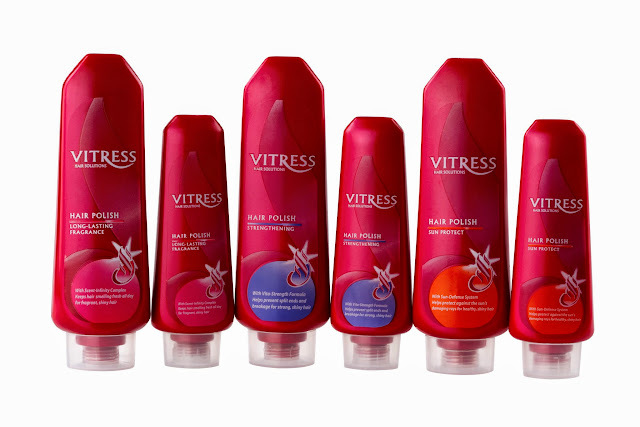 Vitress also has three variants in their Hair Polish collection. 1. Vitress Hair Polish Long-Lasting Fragrance - with Scent-Infinity Complex. this smells heavenly! Perfect for commuters. Say goodbye to amoy usok ng traffic hair! 2. Vitress Hair Polish Sun Protect - with Sun Defense System. This is for awesome fun in the sun time! It protects hair from over sun exposure. 3. 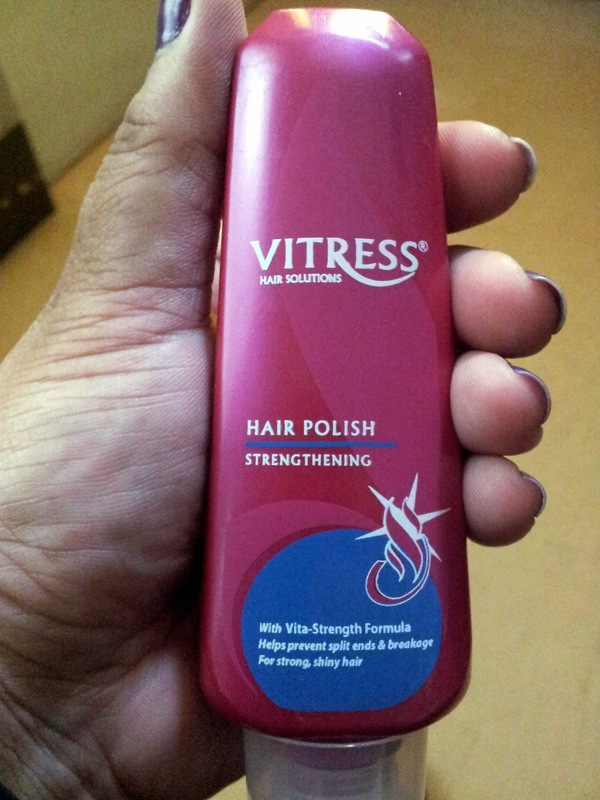 Vitress Hair Polish Strengthening - with Vita Strength Formula. I LOVE THIS PRODUCT! It's now my current favorite. I wear it almost every day! I love its fantastic scent as well. I super recommend this if you want to prevent split ends and breakage (haha like me!) and want to have strong shiny hair (me! ME! hehe). So yeah, you should definitely try the Vitress Hair Polish products. What's amazing about it is that it's a light non-greasy styling cream, it prevents tangles and keeps hair silky soft, smooth, & manageable, and tames frizz and smoothens fly-away hair without sticky feeling! Kung feeling mo magiging sticky ang hair mo, PROMISE IT WON'T! One of my friends didn't want to try it coz she said that she doesn't want her hair to be sticky. I convinced her that it doesn't have that effect and when she finally tried it nagulat siya talaga! It's definitely light and doesn't make you feel as if your hair is limp or weighted down by the hair product. 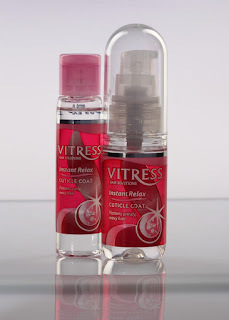 When I apply the Vitress Hair Polish, I end up sniffing my hair a lot coz it smells soooooo good! (haha parang adik lang ba.. hehe). So Coffeeholics, I challenge you with Solenn's words - RETOUCH. RESEXIFY. RIGHT AWAY. VITRESS. 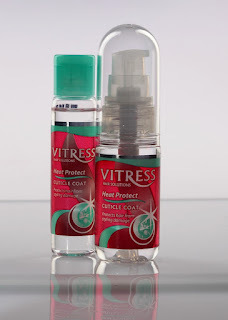 :) <3 Have you tried any Vitress products already? Which one do you like best? Did it work out for you? Comment below and let me know! I'd love to hear your Retouch Resexify Moments with Vitress! Have a great weekend! It's nice that you found the product that would help your hair feel straight and relax. I'm actually a fun of Vitress and have been using it since I was teaching, way back 5 years ago. I used Vitress and it's really great, but it's too expensive in my country.. I have no doubts with Vitresse power to make our hair prettier. I've been using it too for 2years! One of the brands that I can count on. 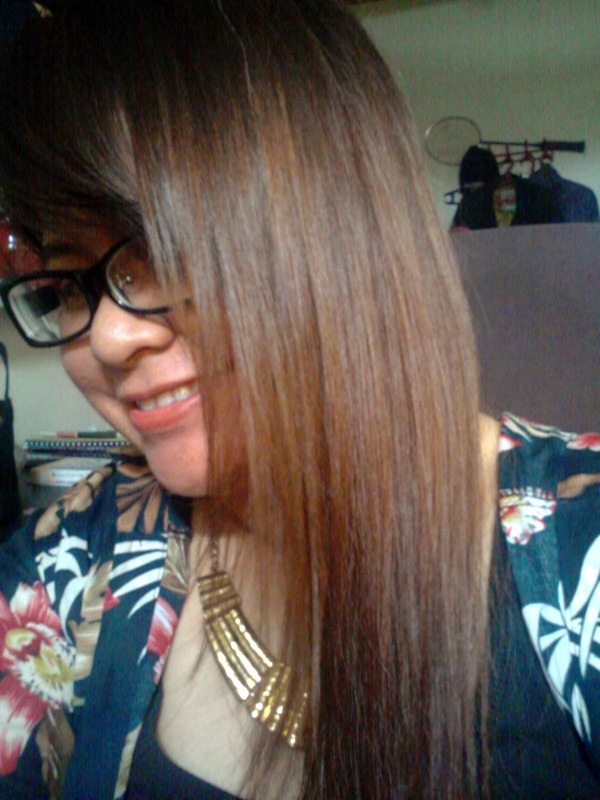 I have tried Vitress before, works well on my straight hair. Although I stopped using it the minute moisturized shampoo came into the market (my hair reacts on the oily side since then). But the products costing is very reasonable. Great review Kai! Wow nice hair! I have a frizzy hair all the time. I saw this product and considering the price, I guess it's worth a try. I use vitress also it transforms my hair from frizzy to tame and adds volume and body. I use vitress too to tame my frizzy hair. It's nice because it's not greasy.